It also documents crafts used in relation to the town’s defences and familiarises the visitor with the history of Bratislava metalworkers and gunsmiths. 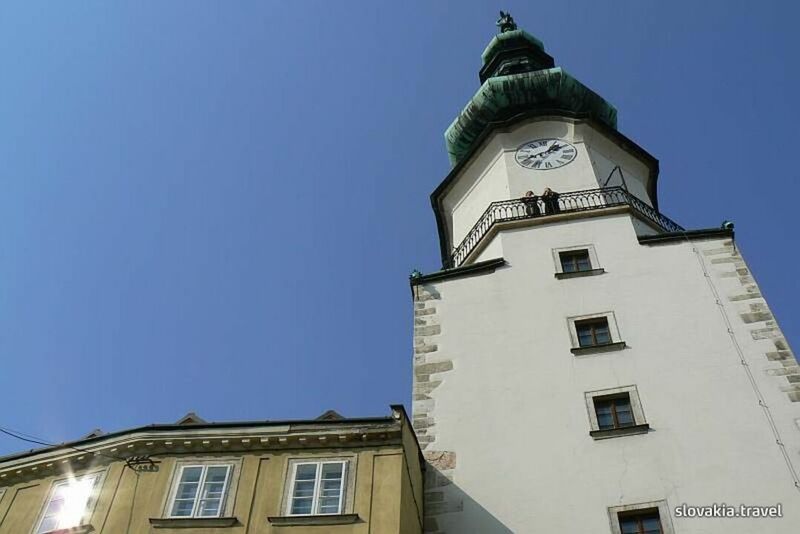 The top floor leads to the gallery of the tower with a view over the historical centre of Bratislava and its surroundings. Construction of the town fortifications began in the 13th century; by the end of the 14th century, the town fortification system had three gates: Michalská, Laurinská and Vydrická. In the 15thcentury, the Rybárska Gate was added. Gradually, suburban areas grew up in front of the fortification walls which, in the 15th century, were fortified with a system of high embankments and dykes by order of the emperor Sigmund, as a result of the Husite invasion. The town‘s outer line of defences was breached by Kozia Gate, the gate at Suché mýto, and Schöndorfská, Špitálska and Dunajská gates.